The MARAZZI Artea Stone 20 in. x 20 in. Cappuccino Porcelain Floor and Wall Tile is reminiscent of travertine marble. 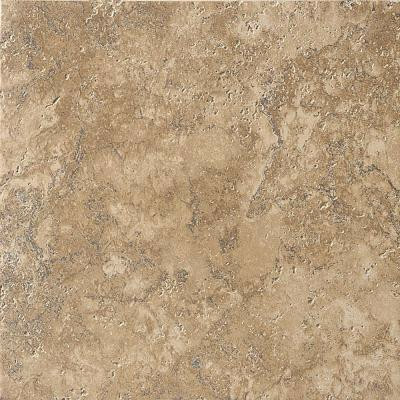 Its glazed, textured surface has dramatic veining and a gentle puddling of brown colors. The rustic-style tile is suitable for use on heavy-duty residential and commercial floor installations, including floors in hotels, sales rooms and exhibition spaces. It is frost resistant and can be used indoors and outdoors. You can buy this product in our internet market. We will be glad if you make the right choice. 16.15 sq. ft., 6 pieces per case. Case weight is 84 lb.